Nov 26 2018 11:31:45 Explosive News about Development Strategies for Digital Printing Equipment Industry of China! Jun 13 2018 09:59:31 Explosive News about China Digital Printing Equipment Industry! In the middle of the year 2009, due to disorderly competition in the market, the three leaders of Beijing Innovation Technology Co.,Ltd.,Shanghai Rui Yan Digital Technology Co., Ltd., and Zhejiang Gongzheng Technology Development Co, .Ltd gathered in Shenzhen to have a thorough discussion for the sound development of standardized healthy issues of the industry, and finally agreed to subsidize 40 million yuan joint venture in Shine China Exhibition Co., Ltd. to organize and plan China's first strategic workshop for the printing equipment industry development so as to invite the colleagues in the industry to meet and negotiate in order to resolve the current bad, vicious market behavior industry, bringing new ideas for future development of printing equipment industry in China. 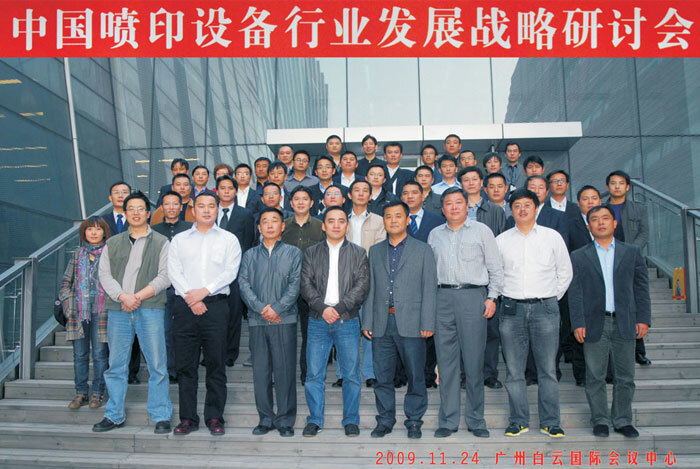 After 3 months’ elaborate organization, the development of China's first strategic jet printing equipment industry seminar on 24th November 2009 was successfully held in Guangzhou. The meeting attracted 36 domestic participants who are in charge of printing equipment factories. At the meeting, everyone expresses their views of the development of printing industry in recent 10 years and the problems faced with. 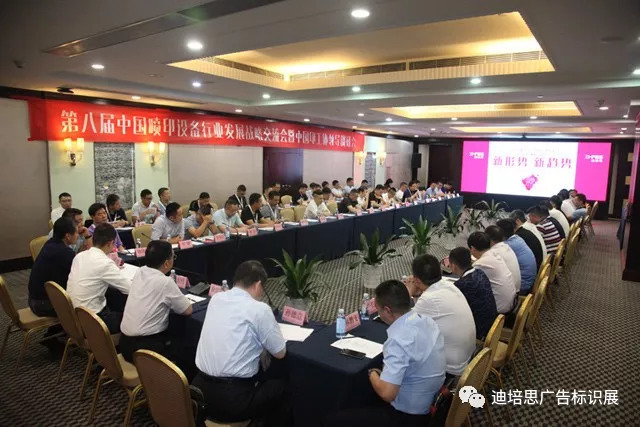 After all-day meeting to discuss, they are unanimously in favor of the proposed development of the industry norm and finally sign the joint Resolution of the healthy development of the industry and the unified advance and retreat in the industry exhibition. 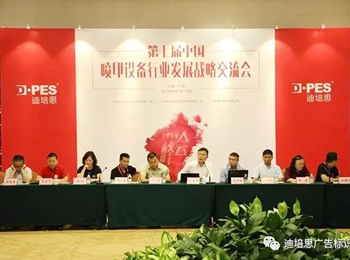 The meeting quickly spread throughout China's advertising equipment industry and set off a consciously regulation waves for the development of enterprises. Soon after, they all called the Seminar Preparatory Group with the hope that by the successful convening of the preparatory group to hold the first seminar of the industry and set up the union as much as possible in order to really set up a bridge for the industry. 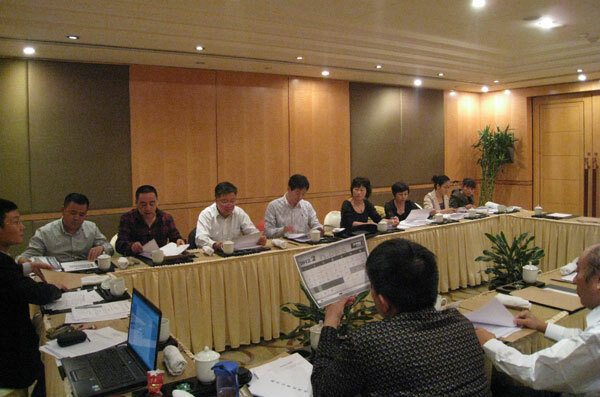 After the preparatory group asking for comments, the final decision was made that the second China Printing Equipment Industry Development Strategy Seminar would be held in Houjie, Dongguan taking advantage of the industry running the show in March 2010. It not only attracted all the factory managers to participate in the spraying industry, but also colleagues from the advertising equipment and engraving industry. 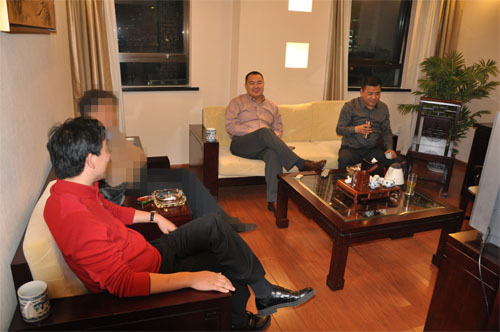 The meeting members unanimously elected Mr. Qian Zhaozhi who is in charge of Shanghai Yaselan Digital Equipment Co., Ltd. as the first Director-General of the Alliance, and unanimously adopted future alliance development purposes, following the election of Beijing Innovation Technology Co., Ltd., Shanghai Wit-Color Digital Science & Technology Co., Ltd., Zhejiang Gongzheng Technology Development Co., Ltd. Shanghai Tekwin Technology Development Co., Ltd. Hangzhou Honghua Digital Technology Co., Ltd., Shenyang Flying Boat Digital Printing Equipment Co., Ltd., Shenzhen Runtianzhi Image Technology Co., Ltd. these 7 companies for the governing unit, jointly responsible for participation in the Union affairs, contributing to the development of the Chinese jet printing equipment industry. 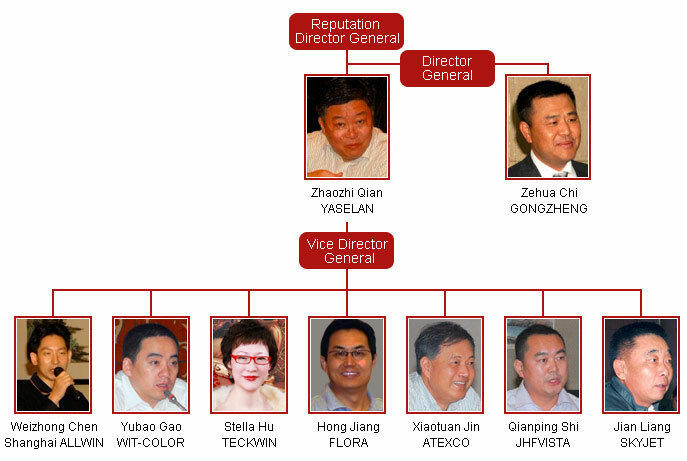 So far, China's industrial printing industry technology alliance was officially established. In April 2010, led by China Industrial Digital Printing Technology Union, the engraving colleagues in China in face of the same market environment requires the preparatory group to plan and organize high-level meetings in the engraving industry throughout the country. After asking for advice to multi-sides, the preparatory group planned and organized timely the first China Engraving Equipment Industry Development Strategy Seminar on May 15th, 2010 held at Nanjing Dongjiao State Guest House with a total of 48 participating units, representing almost the entire Chinese engraving equipment manufacturing industry. The seminar also had an in-depth discussion on the current market issues and future development issues, eventually formed two resolutions and signed a joint resolution for the industry's healthy development and the overall interests of the whole industry to achieve the initial intention of the establishment of its own Union. 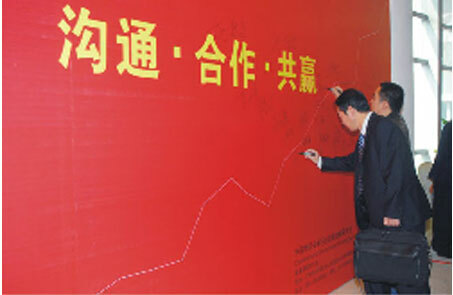 On July 6th, 2010, taking advantage of the Shanghai exhibition, representing China Industrial Digital Printing Technology Union, the director-general and directors get together with the engraving colleagues to discuss the formal co-operation of the two industries and current facing issues. The engraving colleagues give positive reply to the role played by the Printing Union in the industry. 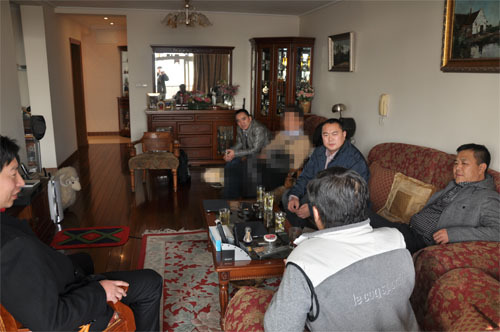 They hoped to set up the Engraving Industry Union in the near future and also expressed that they want to join the strategic alliances with the Printing Union so as to jointly contribute to the healthy development of Chinese advertising equipment and device industry and the upgrading of influence on the world stage. 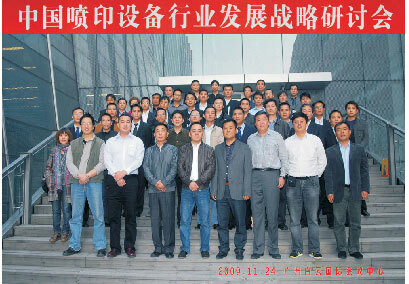 On October 30th, 2010, the second Chinese Engraving Equipment Industry Development Strategy Seminar was held grandly in Jinan, Shandong with the participating 54 units to formalize the establishment of Engraving Union and agreed with the proposal to join the strategic alliance with the Printing Union. At the meeting, they unanimously elected Mr. Ye Zhengye who is in charge of Mr. Ye Zhengye of ROC Machine Electronic System Engineering (Shanghai) Co., Ltd. as the honorary chairman, Mr. Luo Qun of Anhui Tongxing Technology Development Co., Ltd. as the union’s first president, and elected Anhui Jiachen Intelligent Digital Control Science & Technology Co, Ltd, Jinan Ruijie Digital Technology Co., Ltd., Wuhan Sunic Photoelectricity Equipment Manufacturing Co., Ltd. Ruian Boye Laser Applied Technology Co.,Ltd Nanjing Lin Han CNC Equipment Co., Ltd. these five companies as the vice presidents of the unit so that they can participate in the formulation of future development of their own union. Thus, the Chinese China Industrial Digital Engraving Equipment Union was formally established. From February 28th to March 4th in 2011, the Second Dongguan International Printing, Engraving and Signage Technology Exhibition held by the industry in Houjie, DongGuan is the crystallization of these two major unions.